Whether you have been a patient of ours or not, we are happy to provide you bonded in or removable clear retainers. Providing braces, Invisalign, and retainers in the Kingwood, TX area. We know that you have invested a lot in your smile and want to help you keep it that way. Call us for details. Depending on scheduling, we may be able to provide retainers to you the same day as your first visit. Retainers are vital to wear after orthodontic treatment to maintain you smile. 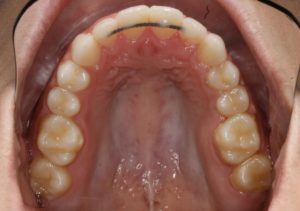 Many patients have ended up back in braces because they did not wear their retainers as instructed by their Orthodontist. If your retainer is lost, broken, or no longer fits your teeth correctly please call our office immediately as your teeth will begin moving back to their position prior to your treatment. The clear, removable essix retainer is manufactured in our office and specifically custom-made to fit your teeth like a glove. It must be worn every night. Call now to get one fitted for you. 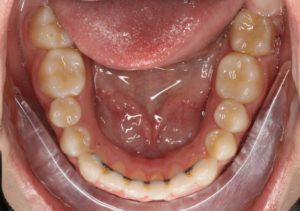 A glued in retainer is a great back up that will keep your front teeth together and straight on the top and bottom. Your removable retainer should be cleaned daily with warm soapy water and a toothbrush. Never use toothpaste as this can scratch the retainer. The retainer can be soaked in a retainer cleaner to remove any stains. Never place your retainer in hot or boiling water. It is very important to place your retainers in their case immediately after taking them out of your mouth. Wrapping them in a napkin is a sure way to get them thrown out with the trash. Pets are extremely attracted to the smell of the retainers and will more than likely use them as a chew toy the first chance they get.